Designed to replace the Mersey Class lifeboat that is now at the end of its service life, the Shannon is the RNLI’s first all-weather lifeboat to be powered by water jets rather than traditional propellers, making it the most agile and manoeuvrable all-weather lifeboat to enter the charity’s fleet. Capable of 25 knots, the Shannon is 50% faster than the lifeboats it will replace – meaning casualties will be reached quicker. The increased manoeuvrability may be vital when precision really matters, such as operating alongside a stricken vessel or navigating around hazards. The use of water jets also allows the volunteer crews to operate the lifeboat in shallower waters, increasing the areas which the lifeboat can reach. Friday 21st February was a momentous day for the RNLI, particularly for the volunteer crew at Dungeness who are the first station to take delivery of the new Shannon class vessel. Designed in-house by the RNLI, the hull, deck and wheelhouse are made of glass fibres that are woven into cloth before being infused with epoxy resin, with carbon fibre being used in the high load areas. There is a connection between the new Shannon class and Lymington, the decks, hulls and wheelhouse are being constructed at the RNLI SAR Composites boat building yard in Lymington, then they are transported the mile or so to us at Berthon to continue the build. A Shannon deck and hull arriving at Berthon from RNLI factory in Lymington. A Shannon in Berthon Boat Company’s Big Blue Shed getting closer to completion. Berthon are working with the RNLI and their project team to complete the build of these new all-weather lifeboats, using the facilities at the Berthon state of the art shipyard to complete the first 8 Shannon class lifeboats, before the opening of the new All-Weather Lifeboat production and maintenance centre at Poole. A closer look at the Shannon Class. The Shannon class, like the Mersey that it replaces, can be launched and recovered from a beach via a tractor and carriage, essentially acting as a mobile slipway. The use of water jets instead of propellers and the shallow draft of the Shannon means it can operate in shallower water, closer to the shore and even run up the beach at speed in particularly bad weather, clearing the boat of the danger area. 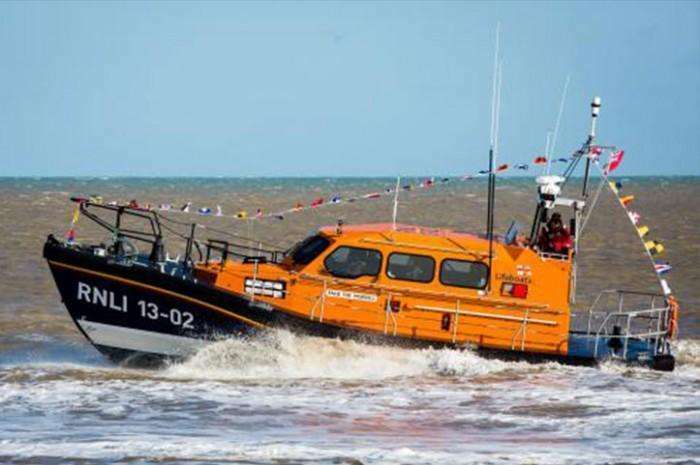 Berthon would like to congratulate the RNLI and the Volunteers at Dungeness lifeboat station in Kent on the arrival of the first Shannon class, ‘The Morrell’ on Friday 21st February. We look forward to ‘The Morrell’ going operational in early March and taking lifeboats to the next level in saving lives at sea.